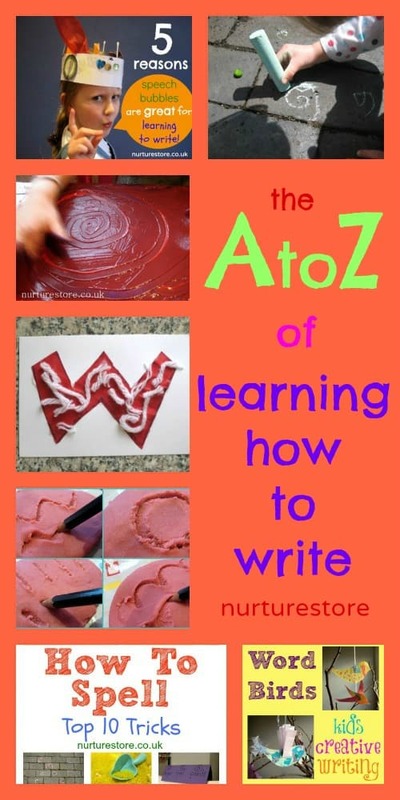 I’m joining in the global A-Z blog party today with an alphabet dedicated to learning how to write. Here are twenty-six fun, creative, tried-and-tested ideas that you can use with your children to help them enjoy their first steps in learning how to write. There are ideas here for sensory alphabets, making spellings fun, encouraging creative storytelling and bringing writing into your everyday imaginary play.